Here’s what’s happening in the world of television for Friday, February 1 and Saturday, February 2. All times are Eastern. 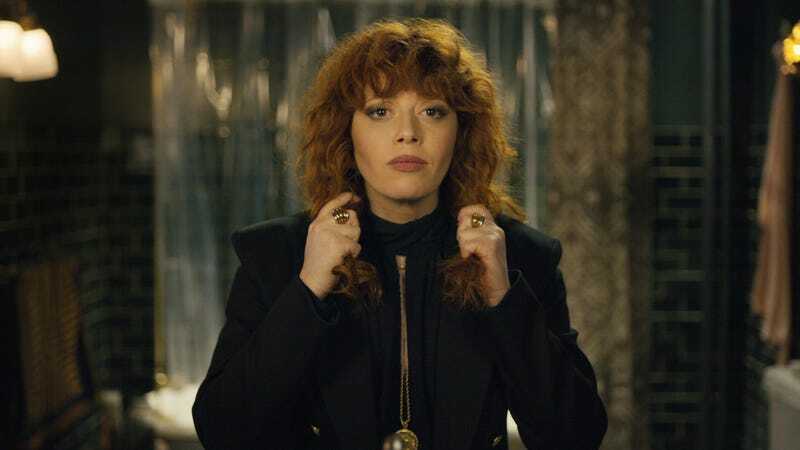 Russian Doll (Netflix, Friday): It’s no accident that a dramedy series about a woman reliving the same day over and over again—and suffering a different horrific death each time—premieres the day before Groundhog Day. Sure, based on the trailer alone, it’s easy to make the comparison to that hit Bill Murray film, not to mention dime-store knockoffs Happy Death Day and its upcoming sequel. Groundhog Day fas may be hesitant to visit Russian Doll for fear of reliving this plot gimmick over and over again. But please take our word for it: This series really does give the trope new life. Yes, it resurrects a gimmick thought to have been played out. But it manages to find new complexity in it, revealing more and more layers with each well-crafted episode and each resuscitation. Plus, Natasha Lyonne (Orange Is The New Black) and Charlie Barnett (Chicago Fire) are brilliant as two souls stuck in time, and the show boasts an incredible creative team to boot (including Lyonne, Amy Poehler, and Sleeping With Other People writer Leslye Headland). We’ll just leave it at that, because the less you know going into this series, the better. The ABC Murders (Prime Video, Friday): After turning out two hits with The Witness For The Prosecution and Ordeal by Innocence, writer Sarah Phelps is back with another three-part Agatha Christie adaptation. Starring John Malkovich as the latest iteration of Christie’s famous detective Hercule Poirot, the miniseries shows its beloved hero attempting to catch a serial killer—self-dubbed “A.B.C.”— who helpfully chooses their victims and murder locations in alphabetical order. As in the other recent Christie adaptations, The ABC Murders offers a fresh new ending, which—like Malkovich’s casting—seems to be pretty hit or miss with fans of the books. Still, the series has turned out some pretty good reviews since its initial run on the BBC, and with a supporting cast that includes Shirley Henderson, Rupert Grint, Broadchurch’s Andrew Buchan, and Game Of Thrones’ Tara Fitzgerald, it might not be a bad way to spend your weekend.